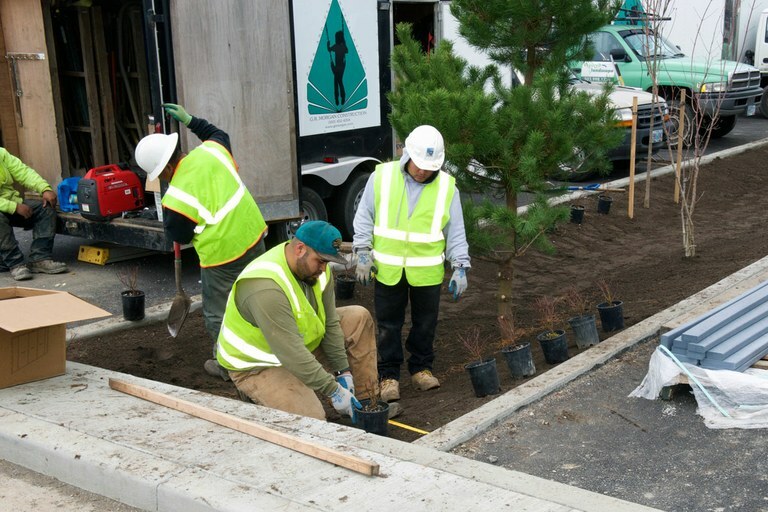 How one community is building a green workforce to combat climate change. 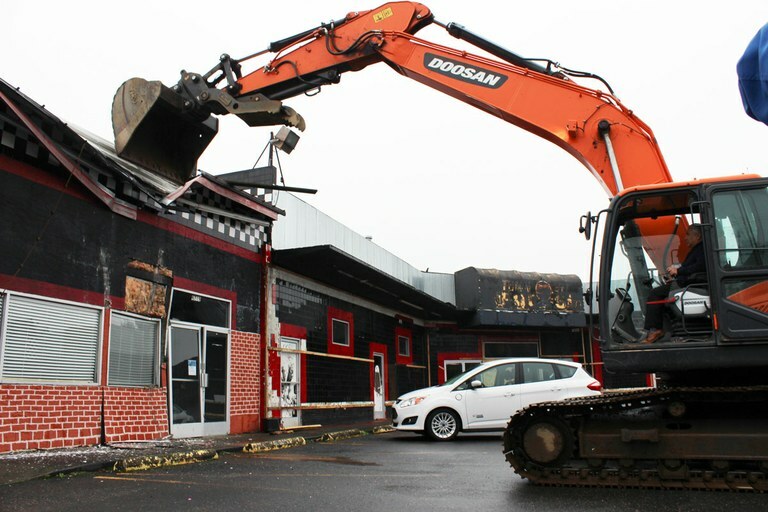 With a large crowd of community members as an audience, the Sugar Shack in Cully neighborhood is destroyed to make room for a new affordable housing development, Las Adelitas. 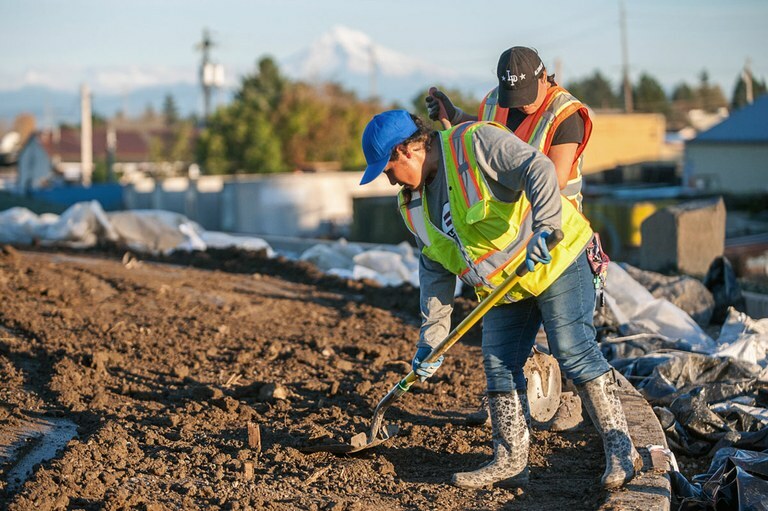 Dig deeper still, and Las Adelitas — together with the whole Living Cully framework — begins to look a lot like the much-touted Green New Deal: a preliminary plan put forth by Democratic congressional members to create a “green workforce” that will build out green infrastructure and clean energy projects while bringing economic opportunities to vulnerable communities. The long-term success or failure of Living Cully could provide a window into an ambitious national program that’s still in the visionary stage today. Brenna Bailey and Linda Dentler volunteer to inventory Living Cully's mobile home weatherization program supplies. LIVING CULLY'S MOTTO CAN SEEM COUNTERINTUITIVE at first: “Sustainability as an anti-poverty strategy.” After all, it’s now widely believed that the more green investments like parks and vegetation appear in a neighborhood, the more desirable (and expensive) that place becomes, often pushing longtime residents out of their homes and neighborhoods. The phenomenon even has its own trendy name: “green gentrification.” This is certainly a challenge in Cully, where, despite anti-displacement efforts, housing prices are in fact rising. But DeFalco believes that pairing housing projects with environmental investments will be key to the project’s success. “(That) is a really simple recipe for proofing the community against green gentrification,” he said. 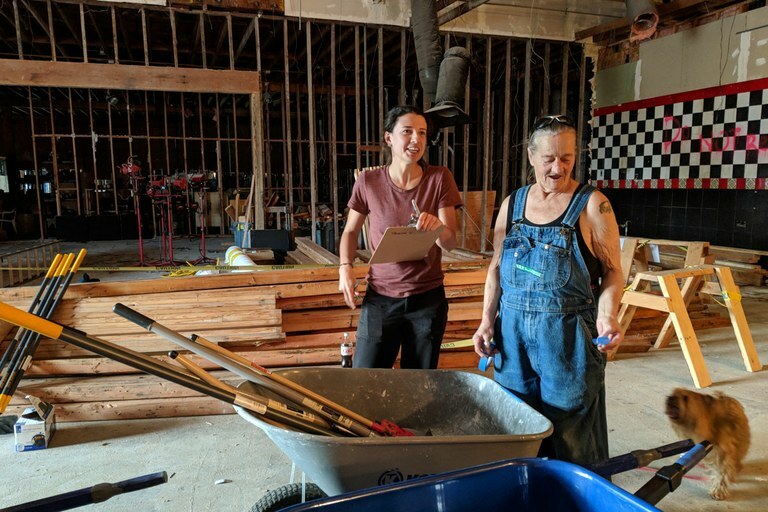 Local residents and food cart businesses discussed plans for Las Adelitas, an affordable housing complex, at a community workshop in the Cully neighborhood in 2017. A rendering of the new Las Adelitas housing development in Cully neighborhood. Courtesy of Salazar Architect Inc.
Verde Landscaping employees Rosa Flores and Claudia Gonzales work at Cully Park.